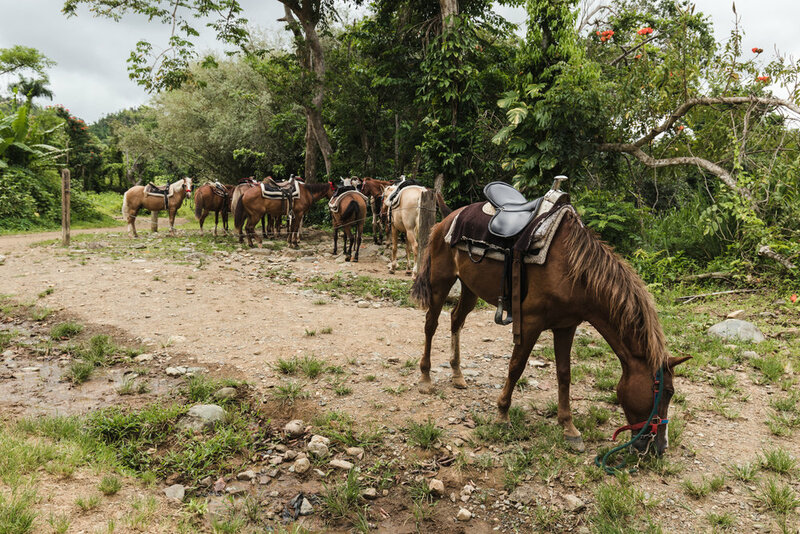 The first area that Annika and I visited was one of Puerto Rico's National Forests, El Yunqué. 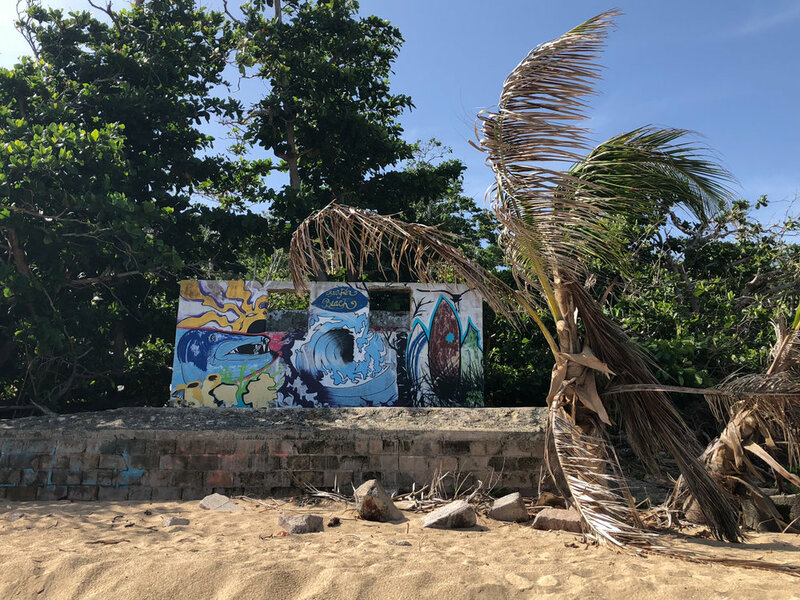 Most of the forest was still closed from damage caused by Maria, but there were a handful of spots open like La Coca falls and Angelita Trail. The drive over was pretty long, so by the time we arrived the trail was quite busy, so I decided to leave my camera and use enjoy the walk. 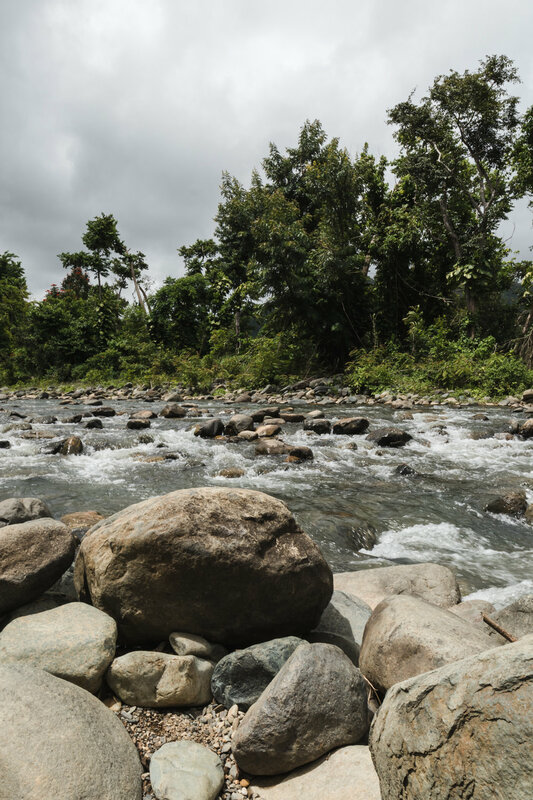 It was a beautiful journey through the rainforest that ended at a river where groups of people were cooling off. Despite the closures, we did get to explore the foot hills on horseback. We booked the tour with Carabalí Rainforest Adventure. They also offer ATV tours, but I'm glad we did the horse tour. It was my second time on a horse, and I really enjoyed it! Our tour guides were great, and made sure everyone was having a good time. 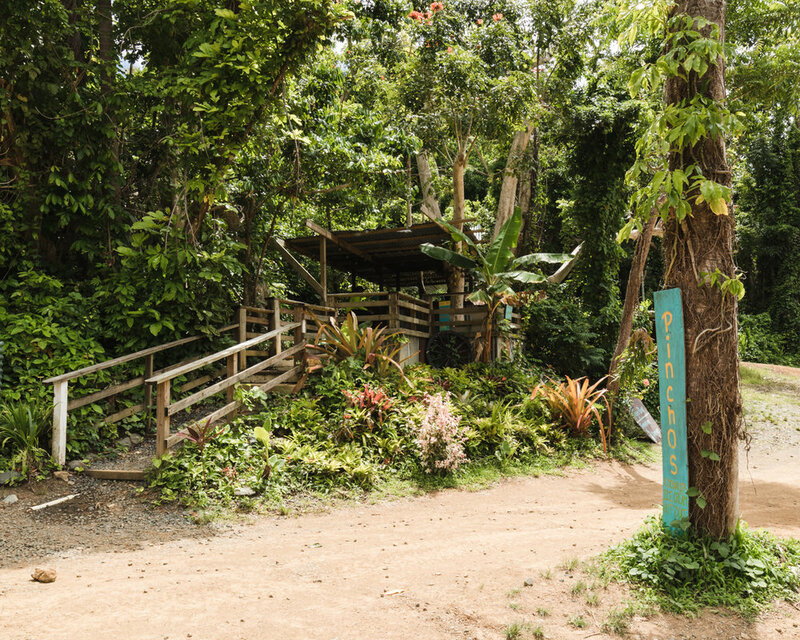 We stopped half way at a little store on a river where we could buy food or fresh coconuts. Between the river, the fauna, the mountains, and the horses, it makes me wonder if I really need all the accommodations of modern life to be happy. The second big trip we Annika and I went on together was a snorkeling trip off the coast of a nearby small island. We got picked up at the hotel nice and early, and made our way to Fajardo on the east coast of the island. 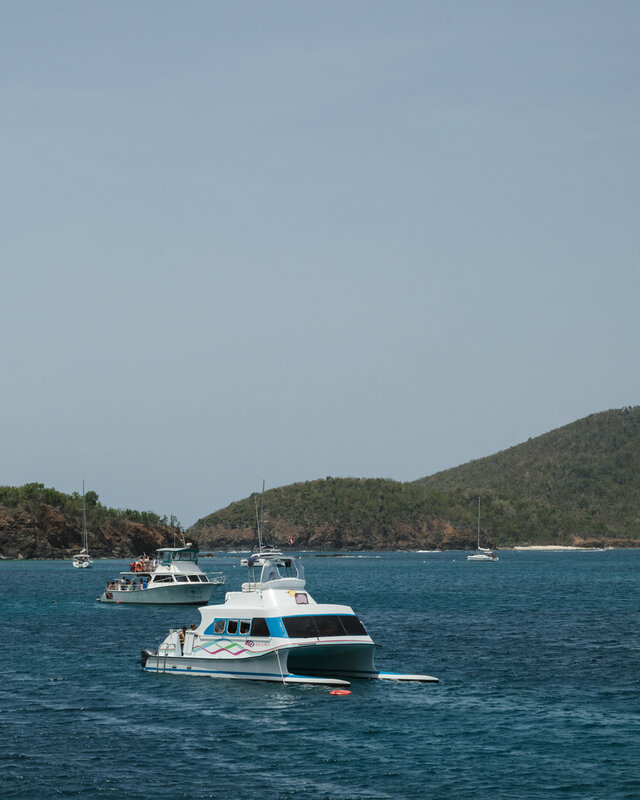 The tour company, East Island Excursions, has two trips available: one to Culebra, and the other to the island of Vieques. There where lots of people there for both adventures, but we quickly got sorted and loaded on our separate catamarans. After about an hour ride we arrived at our first location, a reef on the side of Culebra. We were provided equipment to go snorkeling around. It took some time to adjust to the sensation of breathing underwater, but the water was perfect and the views were too. I only wish I had taken a waterproof camera. From there, we boated around the island to Flamenco Beach. The beach was used by the navy for target practice at one point, and you can still find two old tanks that look like they are melting. We had to swim ashore so again, no camera, but it was nice to not be thinking about that. Just treading in the crystal blue swell was enough. 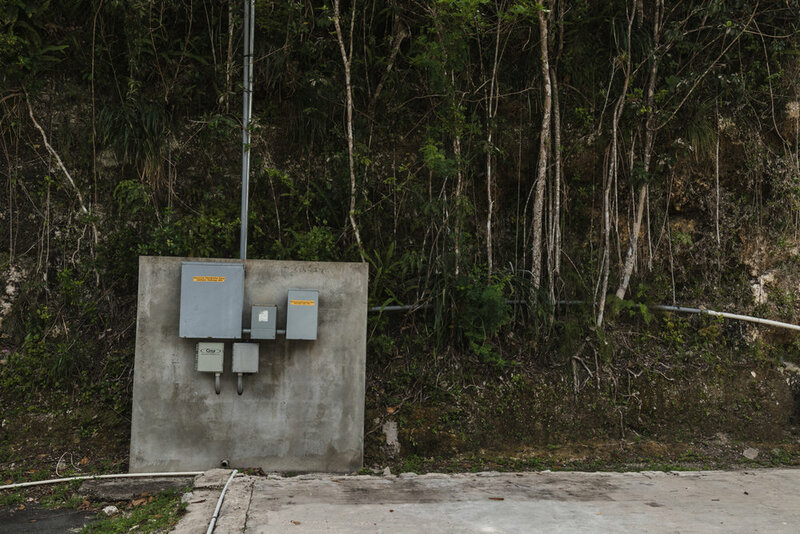 Deep in the karst mountains that make up most of Puerto Rico's western half is the Arecibo Observatory: the second largest radio telescope on the planet. When I found out about it, I knew I had to go. I have always had a fascination with space and astronomy, and seeing this gargantuan scientific instrument was amazing. The drive from San Juan was interesting. Once I got off the highway, I followed local roads as they twisted up and down the haystack mountains through small communities. Eventually I arrived at the entrance to the observatory, only to then hike 10 minutes up to the visitor center at the top of the mountain. It was well worth the trip though, just to view the telescope. The dish is 1000 ft wide, and is built into a natural sink hole. Suspended 450 ft above the dish is a 900 ton platform that supports the receiver equipment. It's size was breathtaking; I spent an hour photographing the apparatus. The visitor center is nice as well, even if it can't match up to the telescope. They have a number of exhibits that explain the type of science done at the observatory as well as information about the solar system. 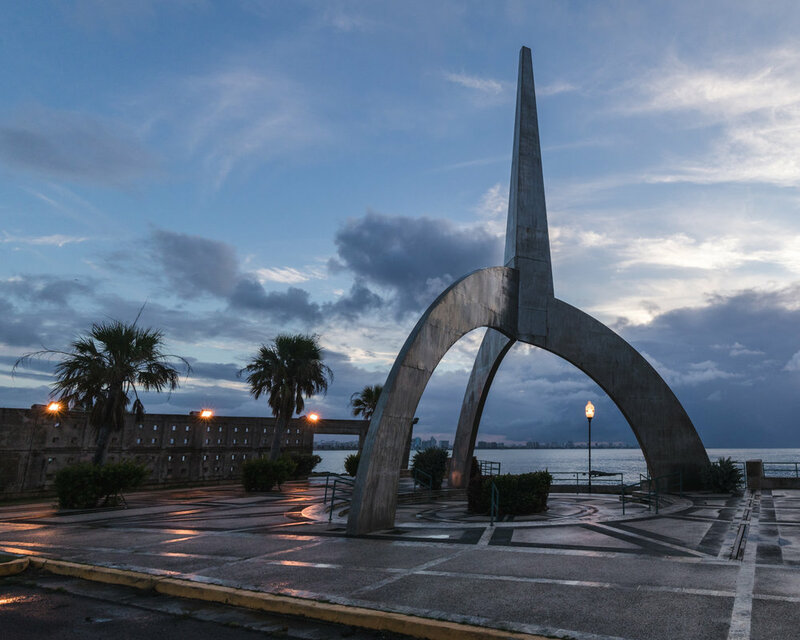 The center is open to schools across the island to come visit, and they also host college courses and lectures. This spot is a bit of an oddity compared to the rest, but still a worthy place to visit. 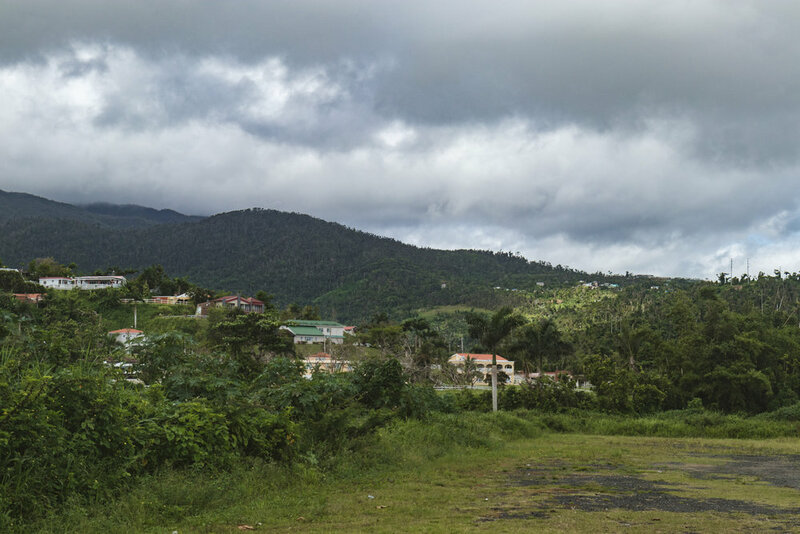 About 15 minutes east of San Juan, I was told that there was a good view of the city skyline. One cloudy afternoon, I decided to try and create a panorama of the city at sunset. By the time I arrived the clouds had been gathering in preparation for rain. They were so thick that there wasn't a lot of color breaking through. There was an interesting statue at the plaza, and there were a lot of compositions to be made. Eventually I had to leave because there were biting gnats that just wouldn't leave me alone. The final trip I took was to a beach on the far west point of the island. 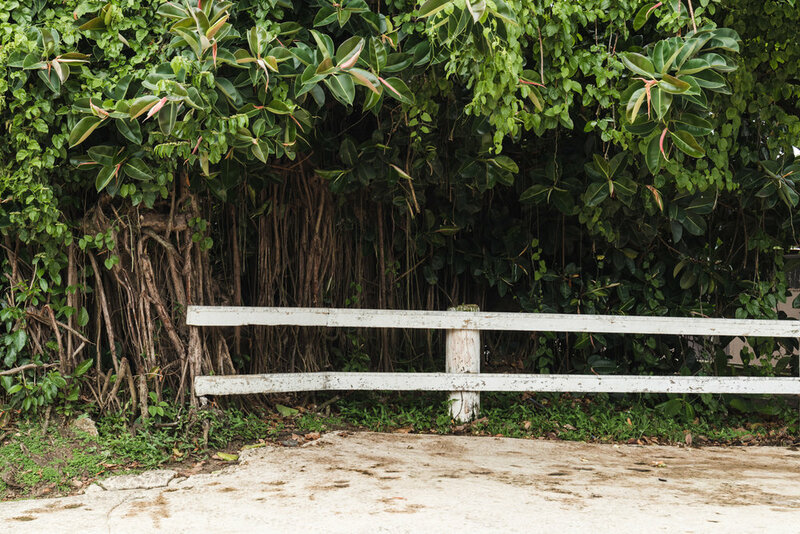 Getting to the beach is strange because you have to go through a gated fence with no signage, and then drive down a steep road that ends at a sand parking lot. I have to imagine the beach gets it's name from the waves, creating a perfect environment for surfers. Sure enough, when I arrived there was a handful of people out on their boards. 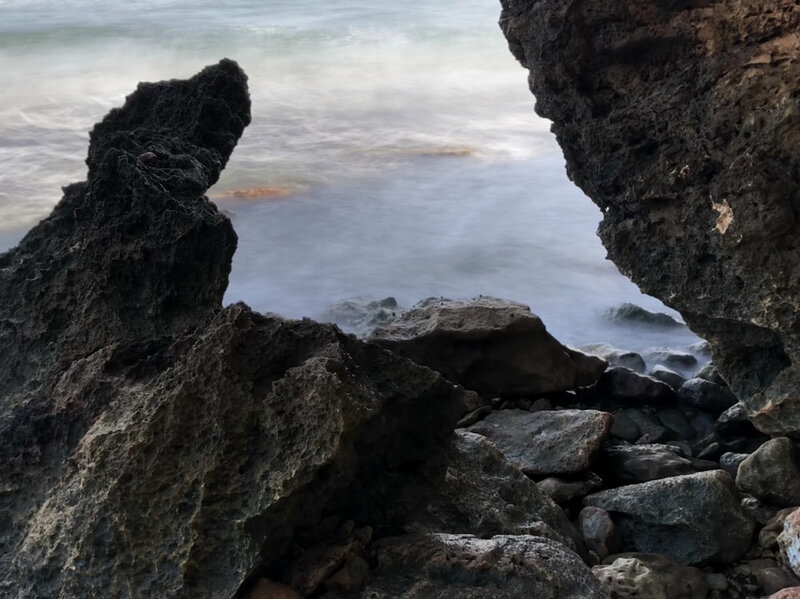 My real intention was to hike along the beach to Cueva Survival Beach. Right off the bat through, things went wrong. I had forgotten my camera. I had my backpack, tripod, batteries, and lenses, just no camera. So I opted to just use my phone. I mean, iPhones are supposed to be good little cameras right? This actually ended up working out in my favor. Not to long after I set off I had to start climbing the rocks because the water was too high. At one point I even had to crawl through a hole in the rocks to continue on. It would have been impossible with my big hiking pack, so I am actually glad that I forgot my camera. Not to mention I got quite wet from the crashing waves, and my camera is not water resistant. I had trouble finding a good path to follow. The rocks were sharp, and in some areas difficult to climb. This caused me to turn back around the halfway point (I think). I ended up continuing past my car and exploring more of the beach before heading back to the hotel. It wasn't in vain though, as I discovered that iPhones have a long exposure mode. It's not perfect but it did a pretty good job. 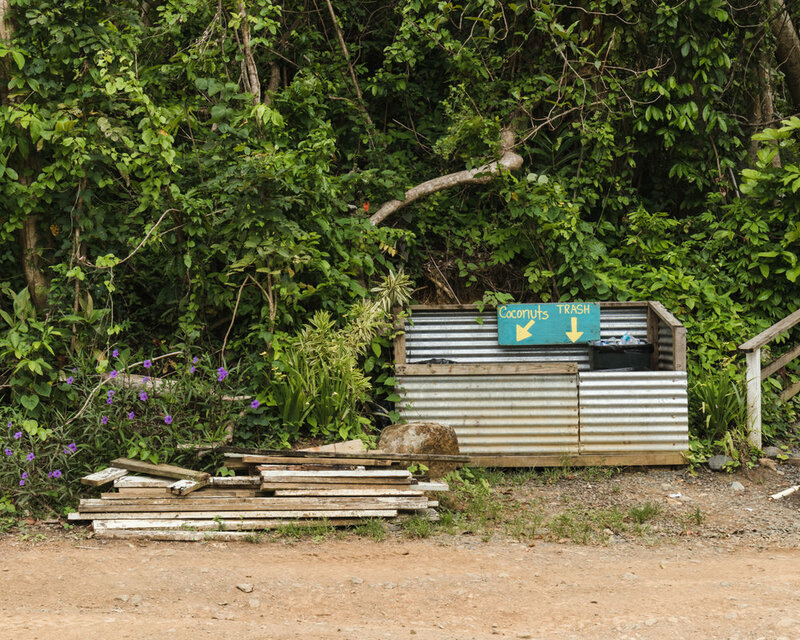 The places I visited where all amazing, but there is so much more: exploring the rest of Culebra and Vieques, climbing the highest point on the island, visiting coffee farms, and lots more beaches! Every spot has its own unique features and challenges, but that's what makes it so much fun. I can't wait to go back. The drive from San Juan was interesting. Once I got off the highway, I followed local roads as they twisted up and down the haystack mountains through small communities. Eventually I arrived at the entrance to the observatory, only to then hike 10 minutes up to the visitor center at the top of the mountain. It was well worth the trip though, just to view the telescope. The dish is 1000 ft wide, and is built into a natural sink hole. 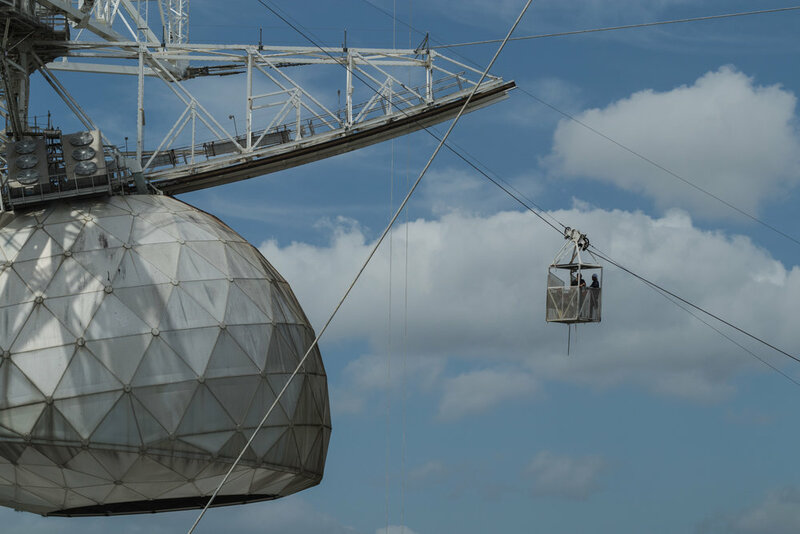 Suspended 450 ft above the dish is a 900 ton platform that supports the receiver equipment. It's size was breathtaking. There was an interesting statue at the plaza, and there were a lot of compositions to be made. Eventually I had to leave because of some biting gnats that just wouldn't leave me alone.